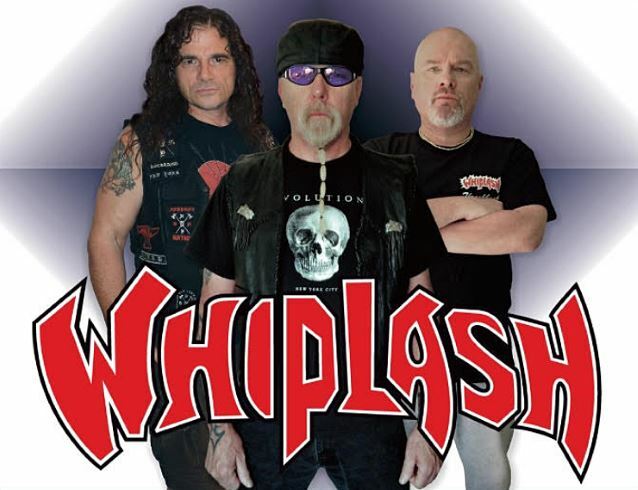 WHIPLASH guitarist/vocalist Tony Portaro has rejoined forces with the band's original drummer, Tony Scaglione, to celebrate the 30th anniversary of WHIPLASH's classic debut album, "Power And Pain". Along with bassist Dank DeLong, they will unleash their powerful brand of thrash to fans all around the world, beginning in 2016. WHIPLASH was originally a three-piece power trio, hailing from New Jersey. Formed by Portaro and Scaglione in 1984, the band recruited Tony Bono (R.I.P. 2002) on bass, and was affectionately referred to as the "three Tonys." Scaglione, who had a brief stint as SLAYER's touring drummer following the departure of Dave Lombardo in 1986, says: "The stars have finally aligned! It's with great pleasure that I can officially announce my return to WHIPLASH, where it all started for Tony Portaro and I. "It is truly an honor to realize that people to this day still appreciate the music we created after all of these years. "I can't wait to get back on stage, and in the studio with Tony and Dank, and deliver some power-thrashing death!" 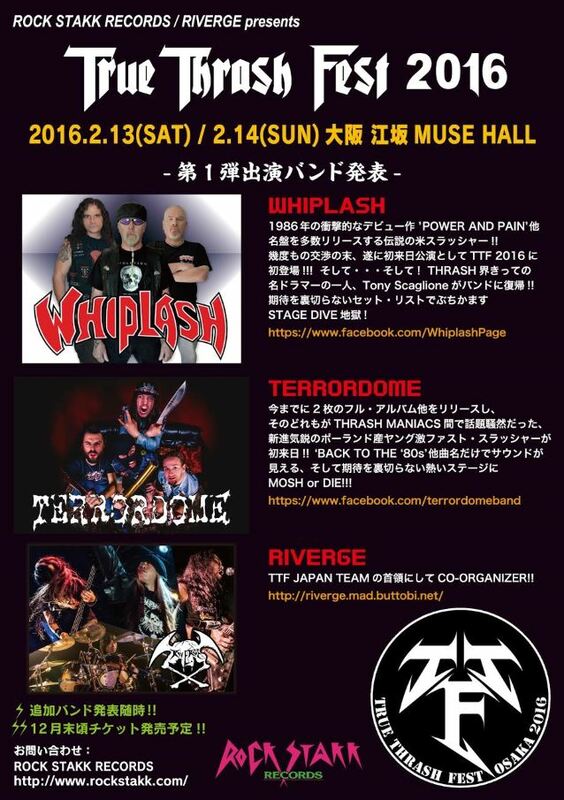 WHIPLASH will headline True Thrash Fest 2016 in Osaka, Japan for two shows on February 13 and February 14, with more bands to be announced. WHIPLASH's revamped lineup will play its first gig on January 23 at Saint Vitus in Brooklyn, New York, and will be at Blackthorn 51 in Queens, New York on February 5. WHIPLASH recently spent time in the studio working on a new EP titled "Old School American Way" which has yet to see light of day. States Portaro: "We have always been extremely grateful to all our followers, and the hairs on my arms are standing up just thinking about performing with Scaglione again! "Taking the true core to Japan for the first time will be a momentous occasion, and we are planning to give Japan something special. Now, with Tony back, we will hold off on the EP, which has been getting label interest, and will instead expand it to a full-length, full-force thrash explosion."